I have lots of excuses for not wearing sunscreen - like being in the office all day or not wanting an extra layer of stuff on my face. But I persevere, especially when I'm riding my bike or spending a day working outside. 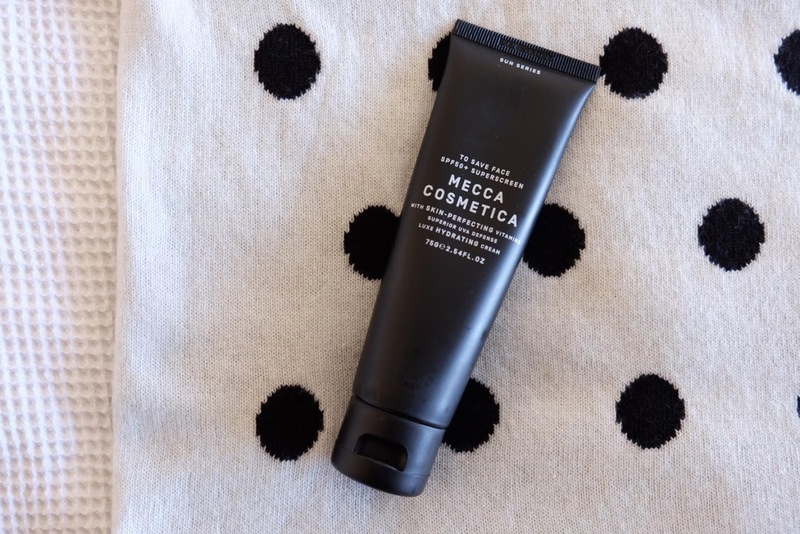 In summer I wear Invisible Zinc because it feels extra hardy against the harsh Australian sun but when that ran out, I decided to try this sunscreen from Mecca Cosmetica. It was recommended to me when I last had my brows done. Turns out it's really good. It's the first face sunscreen that I've had that smells lovely and feels like a normal moisturiser so I'm extra motivated to put it on. A few things - it's expensive abut I've found that a tiny bit goes a long way. It also comes out looking tinted but it's actually not coloured at all. I'm still on the hunt for a great sunscreen for my body - so if you know one, sing out. This summer I made do with a tube of Aldi sunscreen that was always in my handbag. After a few uses, I worked out that it made me smell like a swamp so it might not get another run next year. P.S - Other everyday favourites include Go-To Skincare's Daily Essentials, Shu Uemera's eyelash curler (for looking just that little bit more awake) and Nivea's Soft Rose lip balm.